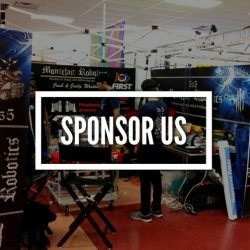 Want to help the Montclair High School robotics team build our robots, go to competitions, and buy the tools necessary for our success? You’re in the right place! 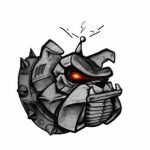 We’re constantly on the lookout for new sponsors, and whether it be a single donation or a longer relationship with our team, we’re immensely grateful! What we do wouldn’t be possible without the support of the members of our community. Your name/organization on the team shirts* and all other benefits of sponsorship levels below. Your name/organization on team banners and all other benefits of sponsorship levels below. If you wish to make a donation and have no other questions, click on the “donate now” button below. By clicking “contact us,” you can email our team with any propositions or questions you have. Are you interested in helping out our team? 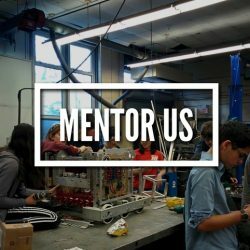 Do you have a passion for engineering, computer science, business, or anything else involved with FIRST? We’d love to have your help! On the MHS robotics team, we welcome any willing mentor with open arms. Please contact us with information regarding your area(s) of expertise, availability, and any background you have with FIRST. We don’t require any specific backgrounds, but this information is helpful to our team. Thank you!